Europe’s SMEs are very concerned about yesterday’s British Parliament’s rejection of the EU–UK Brexit Agreement. The vote increases the SMEs’ concerns of a no deal Brexit, the likelihood of this outcome being much higher with this decision. 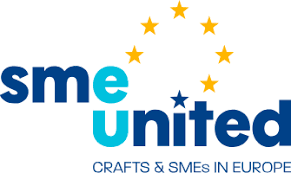 According to SMEunited President Ulrike Rabmer-Koller, a Brexit with no agreement will not only be a disaster for SMEs in the United Kingdom, but will also render major problems for the SMEs in the rest of European Union. European SMEs need to urgently intensify efforts to be prepared in case of a no deal scenario. SMEunited expects a swift reaction from the UK government, one that clarifies how to avoid a no deal Brexit.